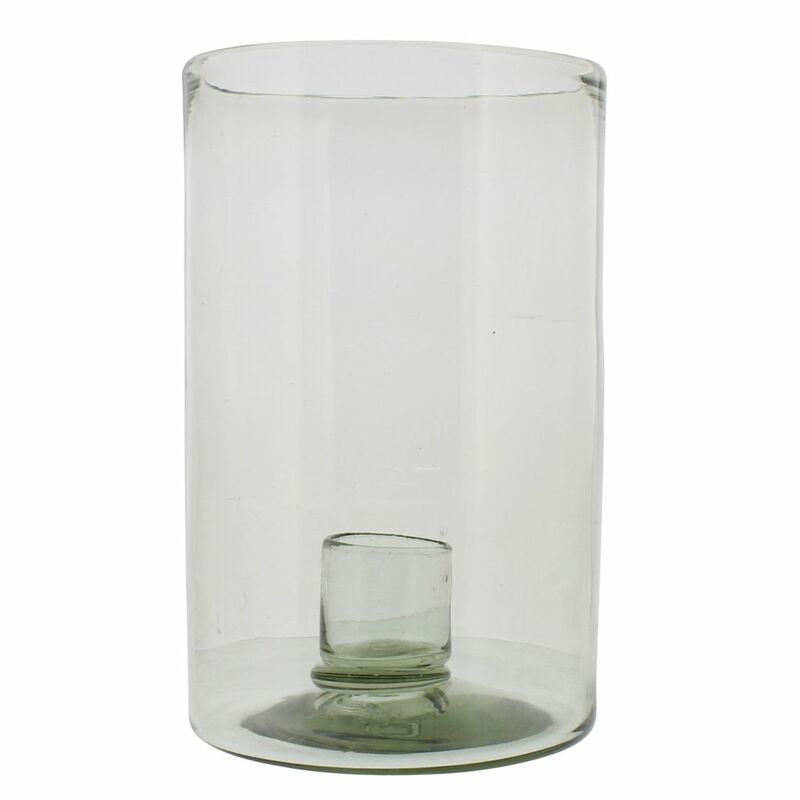 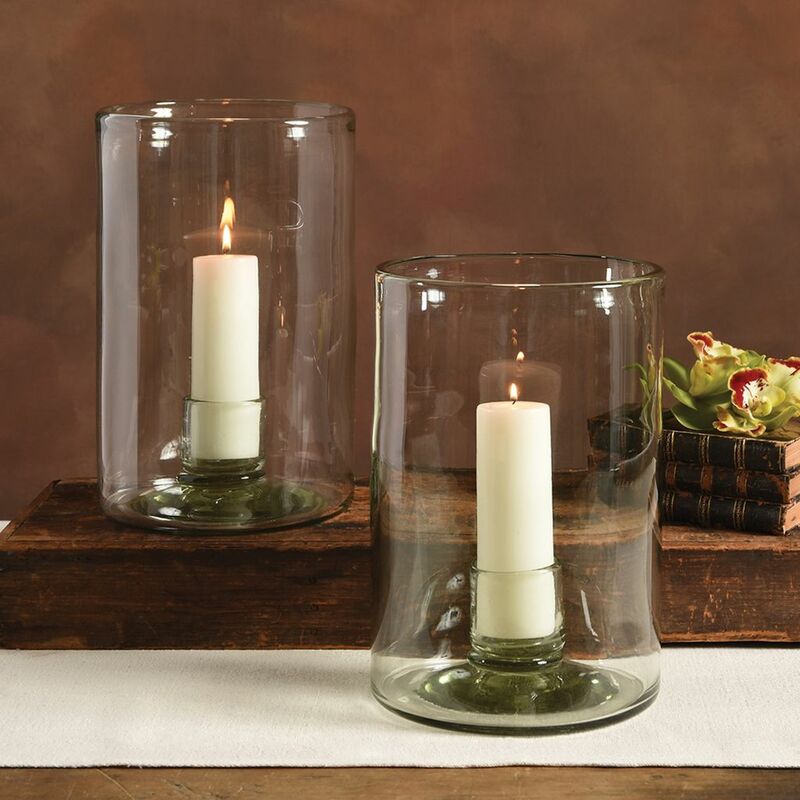 Our large size, yet simple Lucia Recycled Glass Hurricane is a hand-blown artisan and eco-friendly delight. 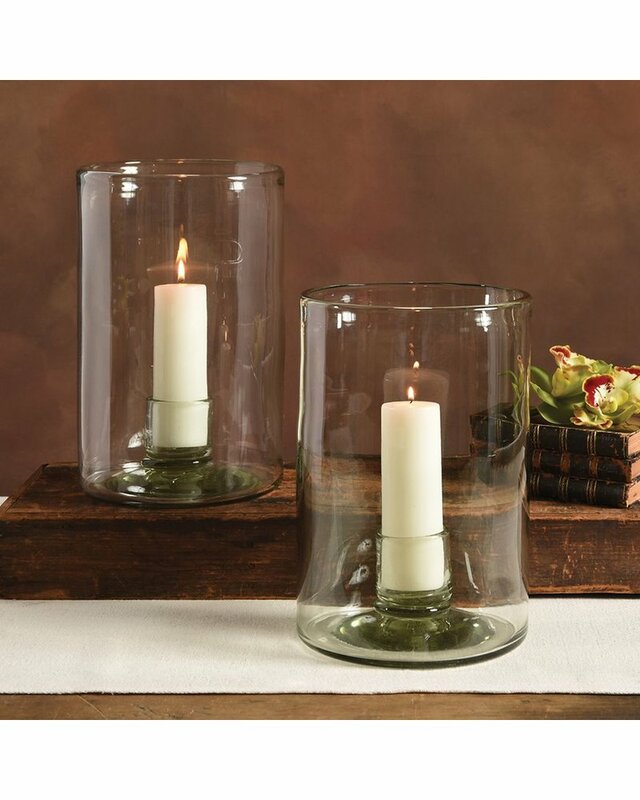 Includes a glass cup to hold your 2 x 6 inch taper candle. 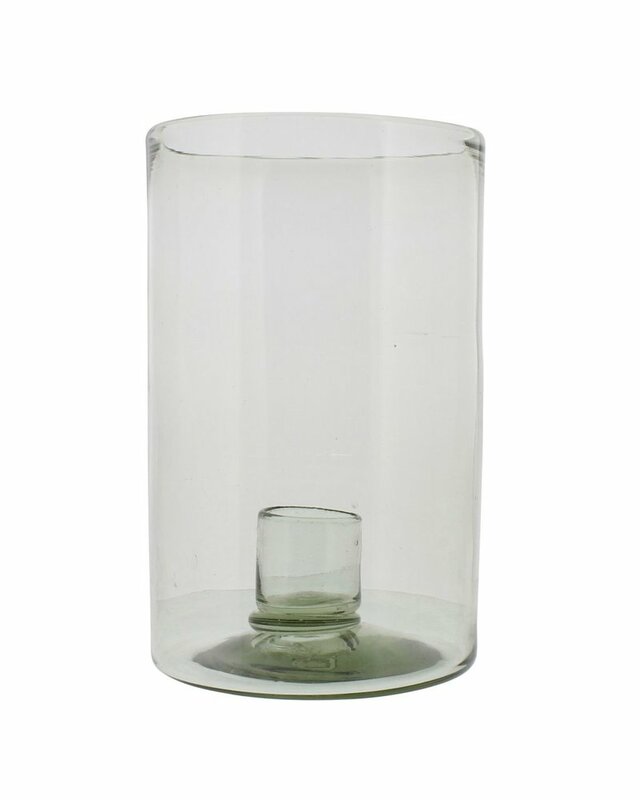 Note the recycled glass imparts a soft green hue to the glass.